(P1) Some ideas are so cool that it’s easy to OVERLOOK important details. (P2) When first introduced, the LS3 robot dogs created by Google-owned Boston Dynamics seemed like they could be very useful. (P3) It seems, though, that these robo-dogs have one small problem: Like quite a few real dogs, they make too much noise. (P5) This has caused the robo-dogs to be retired before they had a chance to become regular members of battle SQUADS. 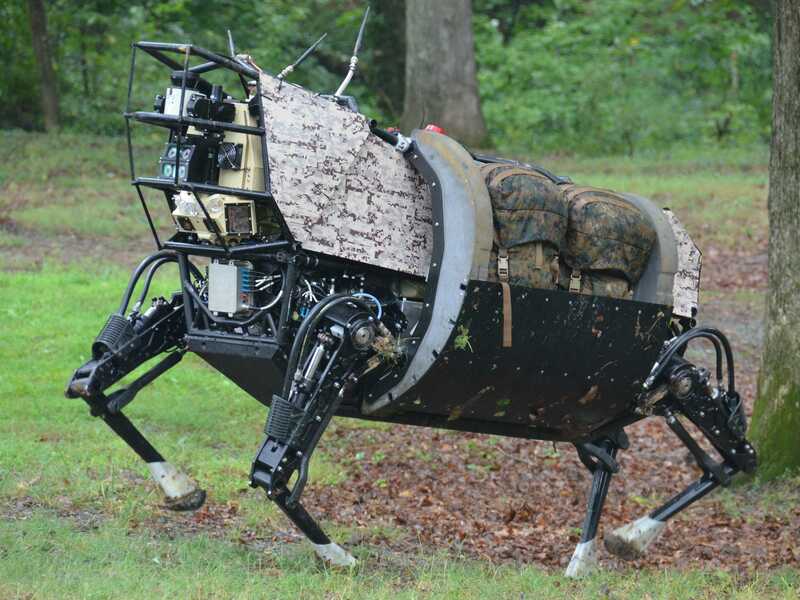 (P6) The whole project cost around $42 million and was a COLLABORATION between Boston Dynamics and the Defense Advanced Research Projects Agency (DARPA), which tests innovative military ideas. (P7) A US Marines spokesman confirmed that the noise levels suggested the robot dogs couldn’t be used on the BATTLEFIELD, but said that was never the goal of the project, which was designed as a learning experiment. (P10) Boston Dynamics did make a smaller, quieter robo-animal, NICKNAMED Spot. The problem, however, is that Spot couldn’t carry much — around 40 lbs, or one-tenth of what the bigger robo-dogs could carry. It had fewer CAPABILITIES in general. What could a robot dog do that a real dog couldn’t do? What could a real dog do that a robot dog couldn’t do? Are the spokesmen quoted in the article making EXCUSES because the project didn’t work? Do you think that people will have robot SERVANTS in the future? $42 million seems like a lot of money. Do you think that military services and other government agencies often waste money?